Photographic objects have been the center of Akram Zaatari’s artistic practice since 1995. Photographic formations or emergences, as he calls them, are the focus of this publication: enigmatic objects that bear traces of past events and accompany people through key moments in their lives. Cherished at times, destroyed at others, photographs are capable of provoking diverse and extreme reactions. Initially, capturing instances, they change over time. The perception of an image changes, but sometimes the physicality of the object itself is also altered as a result of its contact with the natural, social and political environment. The desire to own these images, to look for them and collect them, is rooted in a spectrum of motivations from the personal to the commercial. In 1997, Zaatari co-founded the Arab Image Foundation – المؤسّسة العربيّة للصورة (AIF) partly to contain this collecting drive, but also to give it structure within an institutional framework and form through an expanding collection, which itself is a result of multiple modes of acquisition. Less of a repository of documents, the strength and originality of the AIF lies in the critical intersection of two archival practices, institutional and artistic. Akram Zaatari (born 1966 in Lebanon, lives and works in Beirut) has produced more than fifty videos, a dozen books, and countless installations of photographic material, all pursuing a range of interconnected themes, subjects, and practices related to excavation, political resistance, the lives of former militants, the legacy of an exhausted left, intimacies among men, the circulation of images in times of war, and the play of tenses inherent to various letters that have been lost, found, buried, discovered, or otherwise delayed in reaching their destinations. Zaatari has played a critical role in developing the formal, intellectual, and institutional infrastructure of Beirut’s contemporary art scene. He was one of a handful of young artists who emerged from the delirious but short-lived era of experimentation in Lebanon’s television industry, which was radically reorganized after the country’s civil war. Over the past 20 years, Zaatari has made invaluable and uncompromising contributions to the wider discourse on preservation and archival practice. 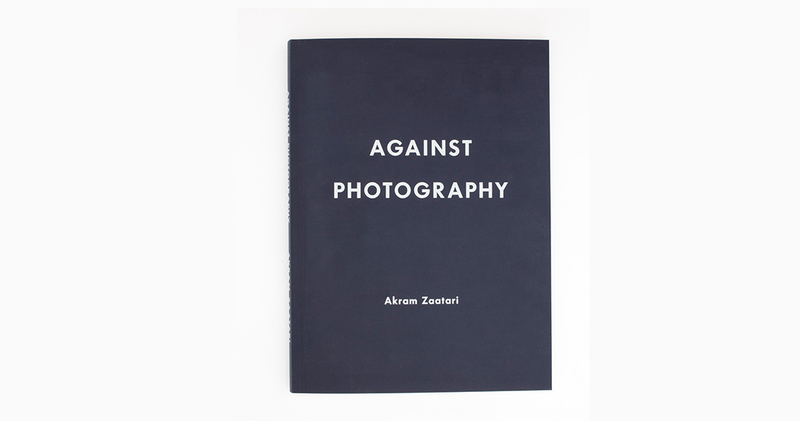 Against Photography, his most recent book, will be made available for sale.